As with the other Games Workshop systems, GW published gaming aides like Datacards, only to leave out half of the stuff that would be useful. Specialist Tactics? Yep, they are there. So as always, my solution is MORE cards! All cards are available as print files with 3mm bleed and cutting marks, as a 'web' version (for viewing on smartphones/tablets), DIN A4 and US letter printing sheet. These cards are for personal use only and you should always keep your rulebooks nearby to solve any conflicts from errors on the cards. Contains the environment effects of all 7 killzones. 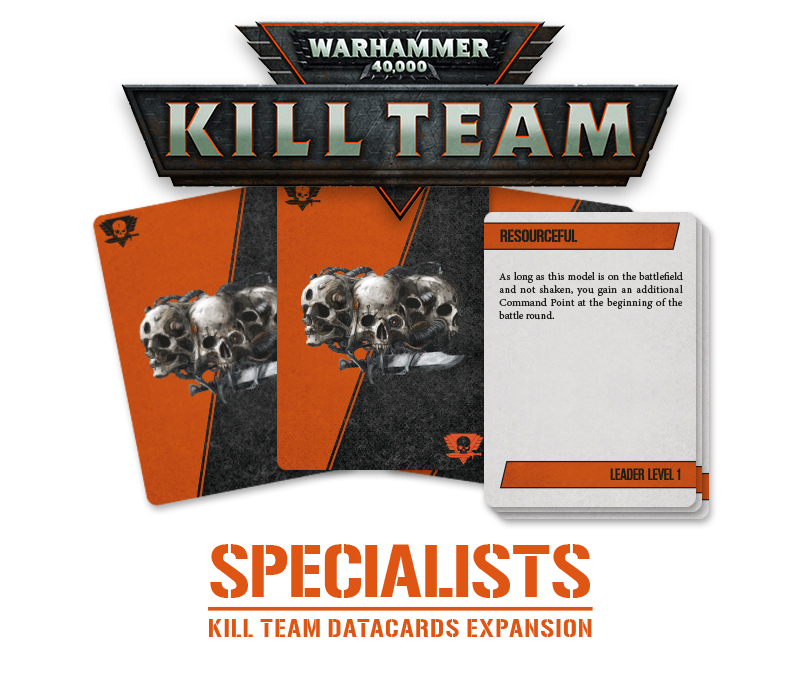 Updated the Specialist cards to look more like the real thing. Just saying, these are fantastic. I'm an analogue guy, and these are much better than my photocopies of the rulebook. I love these types of cards. Tagged for later so that I can hopefully print some out for myself in the near future. They look fantastic. Have a couple of exalts! Now I really want to get some fresh ink for my printer. Excellent work and thank you.